Cloud-to-cloud lightning refers to lightning discharges occurring between cloud areas without contacting the ground. It can be further divided into inter- and intra-cloud lightning; the former referring to lightning between two separate clouds and the latter to lightning within a single cloud. Intra-cloud lightning – also called in-cloud lightning – is more common than inter-cloud lightning as single clouds can be huge with areas of differing electric potential. 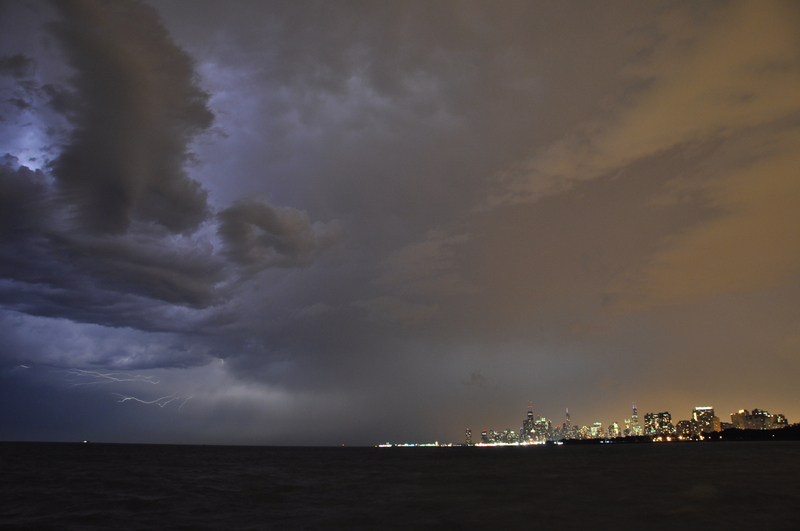 This photo was taken from Montrose Harbor looking South toward the city. This entry was posted in Chicago, Nature, Skyline, Weather. Bookmark the permalink.